I loved her patience. She was one of the first to be painted on her arm. 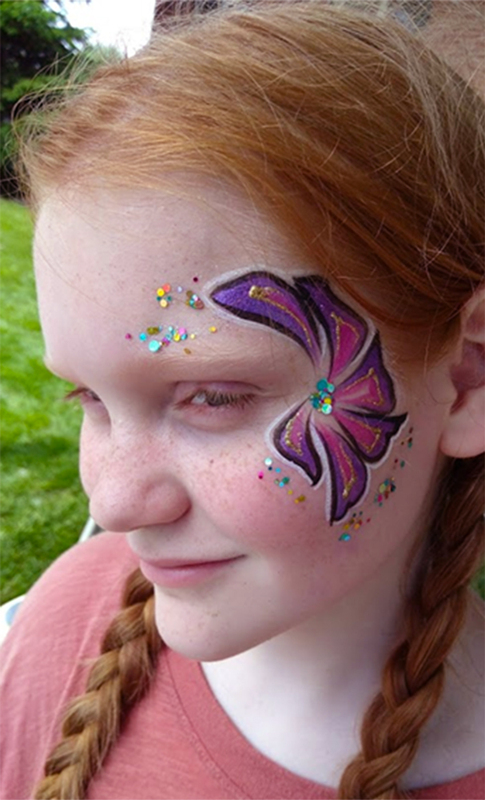 She waited till the end of the event after the last child to have something painted on her face. What character. It’s that time of year that the churches are reaching out their communities for vacation bible schools. The Madeira Silverwood Presbyterian http://madeirachurch.org/ brought families in from all over Cincinnati for their Vacation Bible School drive. It was apparent that they really care about the community and their children. What a great place to take you children this summer. This entry was posted in Recent Events on May 25, 2018 by Joyce.